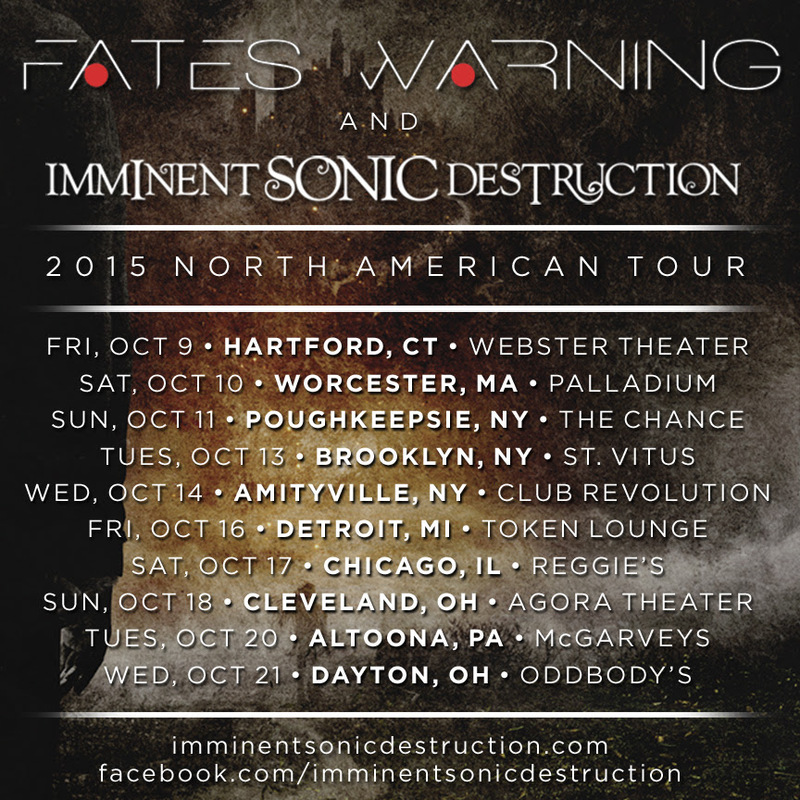 IMMINENT SONIC DESTRUCTION To Tour With Fates Warning! Detroit Progressive Super Metal outfit IMMINENT SONIC DESTRUCTION are hitting the road this fall in support of Fates Warning on the first half of their 2015 North American tour. ISD is currently wrapping up production on their second full-length CD, a concept album titled Triumphia, and will be playing selections from it on tour. Their first album, Recurring Themes, was independently released and they subsequently toured North America in 2013 with Pain of Salvation and Kingcrow in support of it.